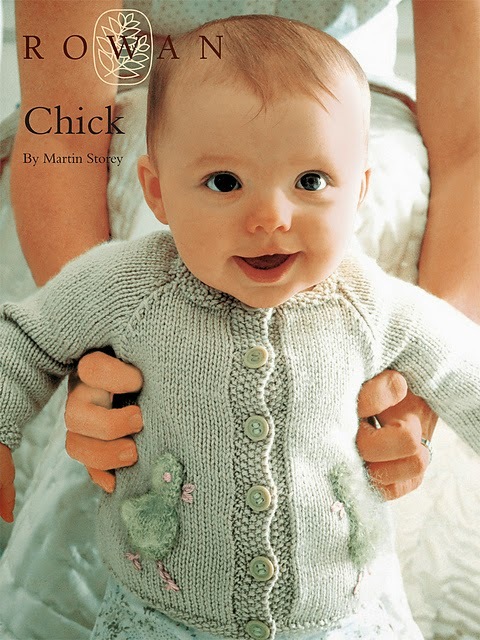 Martin Storey's darling "Chick" baby sweater is knit with DK yarn on a US 6 (4 mm) needle and available for wee chicks, infant size to 18 months. 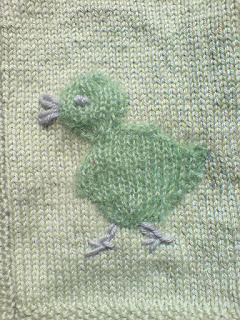 As you can see, the chick is a simple appliqué and requires very little embroidery, so very sweet. 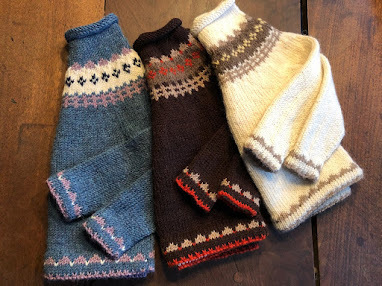 "Fuzzy Mitten Lamb" is knit tightly with worsted yarn, only 50 grams, on a US 6 (4mm) needle as well. Finished size is 7.5" and perfect for the Easter basket or baby's crib. 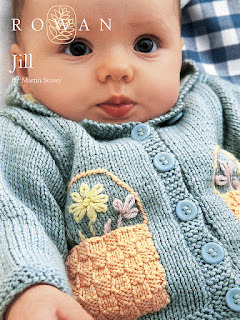 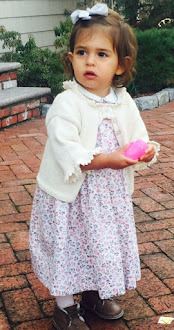 Martin Storey's "Jill" is another baby jacket pattern, also in sizes newborn to 18 months, sweet with Easter flower basket pockets, and available for free on Rowan's pattern site. You will have to log in, and, believe me, it is well worth your time for the abundance of free patterns you can add to your knitting and crochet pattern library. 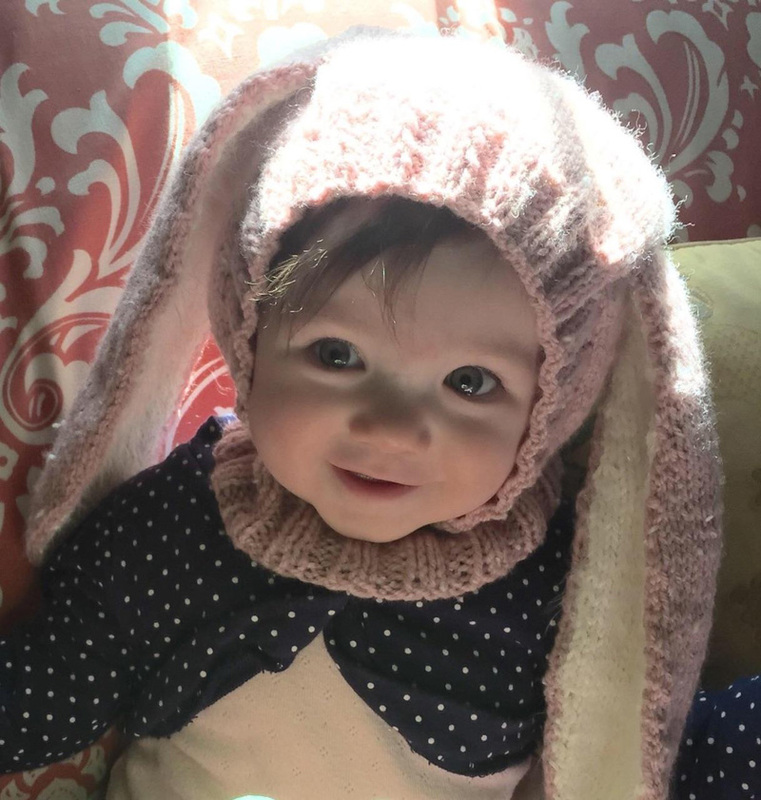 You can find the "Chick" baby sweater pattern here. 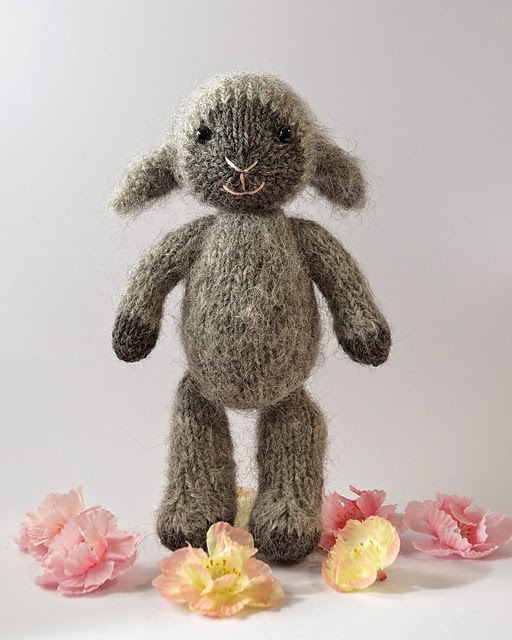 Fuzzy Lamb pattern by Barbara Prime. 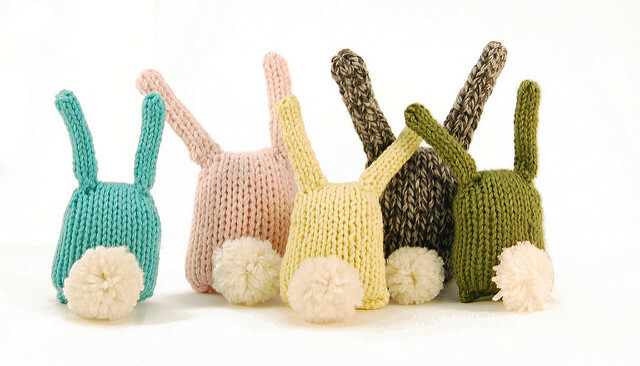 Bunny Nuggets by Rebecca Danger. 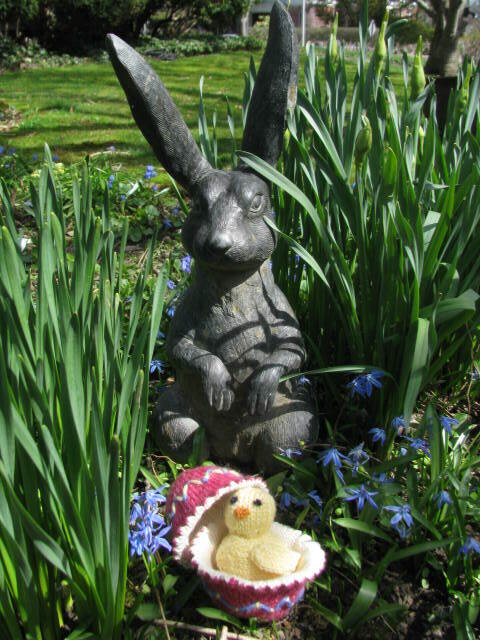 Alan Dart's "chick and egg" is a fun project I knit several years ago. You'll find more details here and the link for the free chick and egg knitting pattern. Bunny Hat pattern on Knitnscribble.